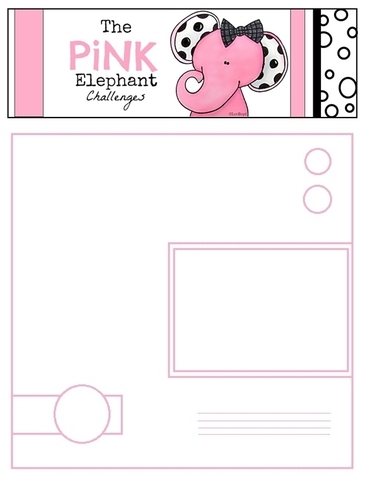 This week we had a super simple sketch to follow. But remember, a sketch is just a guideline. Let your imagination take over when using sketches. 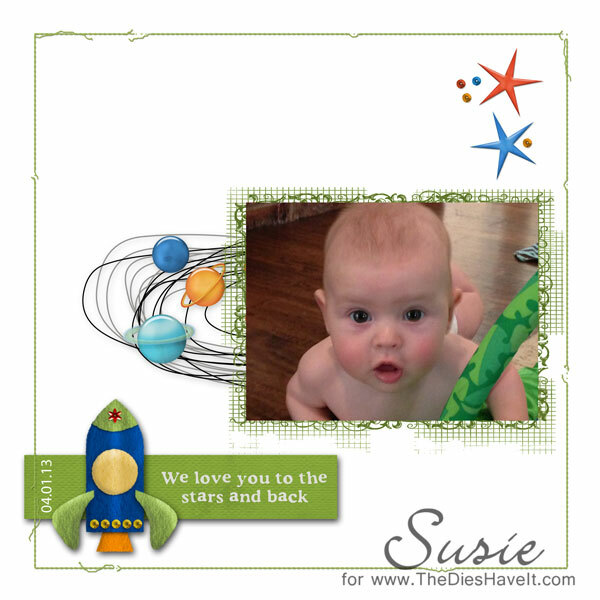 This layout stars our littlest grandson, Andrew. He is five months old in this picture and such a doll! His mom always tells him she loves him to the stars and back. So do I!! 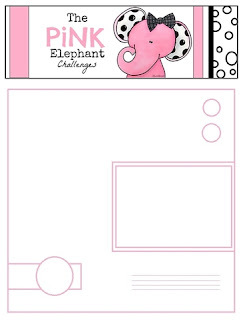 This will be the final Saturday Pink Elephant Challenge. Starting soon, we will be sharing these wonderful challenges on Mondays. Stay tuned!